The XM5 redefines productivity and is built to withstand the rigors of heavy-duty use in the field. It combines the latest technological advancements in mobile devices with a sleek and rugged design to provide the power and flexibility that enterprise and government customers demand. 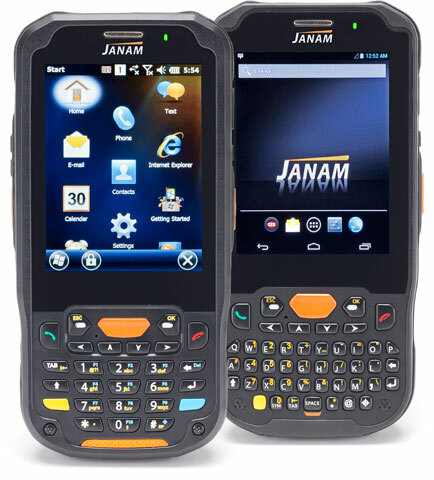 Equipped with 4G-ready WWAN and 802.11a/b/g/n Wi-Fi communications, the XM5 ensures mobile workers will be able to access voice and data anytime, anywhere. Additional features include the choice between a 1D/2D imager or 1D laser scanner, as well as integrated RFID and NFC reading capabilities, front and rear facing cameras, Bluetooth and smart battery power management. 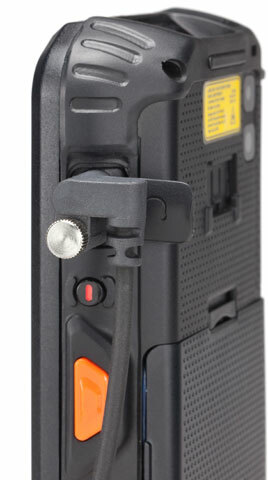 XM5, Rugged PDA:Android JB 4.2, 1D Laser Scanner, Camera, 4000mAh, QWERTY keypad, AC Adapter, USB Cable. Interface cables and charging cradle sold separately. Single charging cradle kit (Part# CKT-P1-005U). Quad charging cradle kit (Part# CKT-P4-005C). XM5, Rugged PDA:Android JB 4.2, 1D Laser Scanner, 802.11abgn, GPS, HF RFID, AC Adapter, USB Cable, Bluetooth, Camera, 4000mAh, QWERTY keypad, AC Adapter, USB Cable. Interface cables and charging cradle sold separately. Single charging cradle kit (Part# CKT-P1-005U). Quad charging cradle kit (Part# CKT-P4-005C). XM5, Rugged PDA:Android JB 4.2, 1D Laser Scanner, UMTS/HSDPA/HSUPA/GSM, 802.11abgn, GPS, HF RFID, AC Adapter, USB Cable, Bluetooth, Camera, 4000mAh, QWERTY keypad, AC Adapter, USB Cable. Interface cables and charging cradle sold separately. Single charging cradle kit (Part# CKT-P1-005U). Quad charging cradle kit (Part# CKT-P4-005C). XM5, Rugged PDA:WEH 6.5, 1D Laser Scanner, 802.11abgn, GPS, HF RFID, AC Adapter, USB Cable, Bluetooth, Camera, 4000mAh, Numeric keypad, AC Adapter, USB Cable. Interface cables and charging cradle sold separately. Single charging cradle kit (Part# CKT-P1-005U). Quad charging cradle kit (Part# CKT-P4-005C). XM5, Rugged PDA:Android JB 4.2, 1D Laser Scanner, 802.11abgn, GPS, HF RFID, AC Adapter, USB Cable, Bluetooth, Camera, 4000mAh, Numeric keypad, AC Adapter, USB Cable. Interface cables and charging cradle sold separately. Single charging cradle kit (Part# CKT-P1-005U). Quad charging cradle kit (Part# CKT-P4-005C). XM5, RUGGED PDA, 2D Scanner, No Camera, No WI-FI, No Bluetooth, WEH 65, 4000MAH, QWERTY Keypad, AC Adapter, USB Cable, APPCENTER INCLUDED [TAA COMPLIANT]. Interface Cables And Charging Cradle Sold Separately. XM5, Rugged PDA:WEH 6.5, 2D Imager, 802.11abgn, GPS, HF RFID, AC Adapter, USB Cable, Bluetooth, Camera, 4000mAh, QWERTY keypad, AC Adapter, USB Cable. Interface cables and charging cradle sold separately. Single charging cradle kit (Part# CKT-P1-005U). Quad charging cradle kit (Part# CKT-P4-005C). 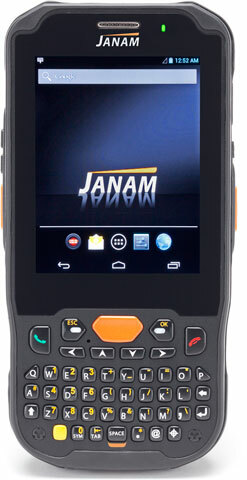 XM5, Rugged PDA:Android JB 4.2, 2D Imager, Camera, 4000mAh, Numeric keypad, AC Adapter, USB Cable. Interface cables and charging cradle sold separately. Single charging cradle kit (Part# CKT-P1-005U). Quad charging cradle kit (Part# CKT-P4-005C). 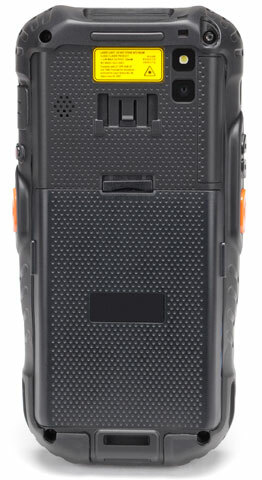 RUGGED PDA, WEH 65, 2D Imager, UMTS/HSDPA/HSUPA/GSM, 80211ABGN, GPS, HF RFID, Bluetooth, No Camera, 4000MAH, Numeric Keypad. Interface Cables And Charging Cradle Sold Separately. XM5, Rugged PDA: No Scanner,Android JB 4.2, UMTS/HSDPA/HSUPA/GSM, 802.11abgn, GPS, HF RFID, AC Adapter, USB Cable, Bluetooth, Camera, 4000mAh, Numeric keypad, AC Adapter, USB Cable. Interface cables and charging cradle sold separately. Single charging cradle kit (Part# CKT-P1-005U). Quad charging cradle kit (Part# CKT-P4-005C). 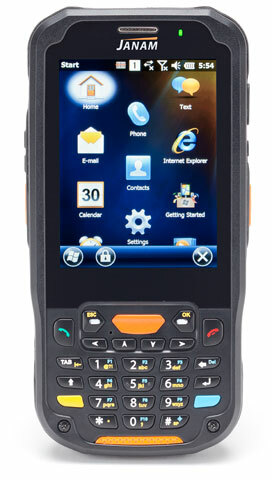 XM5, Rugged PDA, Windows Embedded Handheld 6.5, 1D Laser Scanner, Bluetooth, 4000MAH, 40-key Keypad. Interface cables and charging cradle sold separately. Single charging cradle kit (Part# CKT-P1-005U). Quad charging cradle kit (Part# CKT-P4-005C).